Are you feeling cramped in your Ft. Myers-Naples home? You’re not alone. This popular destination packs quite a crowd – from locals to visitors. Give yourself some room by installing space-saving storage solutions to improve your home organization, whether you live in Sarasota, Cape Coral, Naples, Port Charlotte, Bonita Springs, Captiva, Estero, Fort Myers, Golden Gate, Immokalee, Lehigh Acres, Marco Island or North Fort Myers. When you have limited space, the key to an organized home is to get creative. The designers from California Closets put together five ways to achieve better storage solutions by maximizing space. The multipurpose room is a brilliant idea for those who want it all. Need a guest room but don’t want to sacrifice having a living area or home office? You can have both. A Murphy bed is an expert space saving solution that folds up and into the wall so that by daytime, you can use the space for whatever you want. Custom cabinets are integrated in the Murphy bed solution so that either you or guests can store items while the area stays clean. If you’re maxed out on space in the bedroom, fear not. 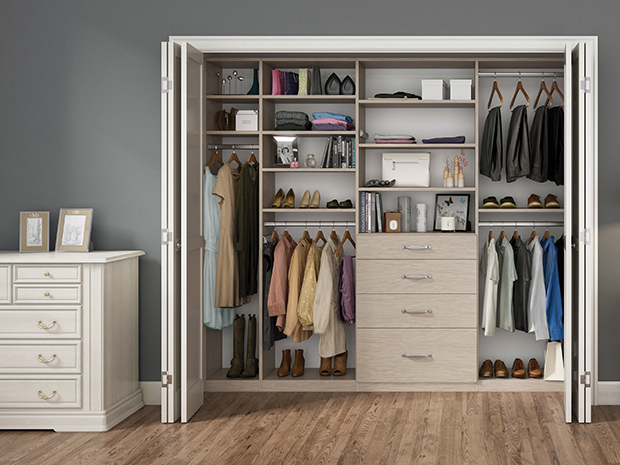 A customized reach-in closet will help organize everyone’s items — even the shoe obsessed. Pullout accessories such as belt, tie, scarf, and valet rods maximize space and organization. 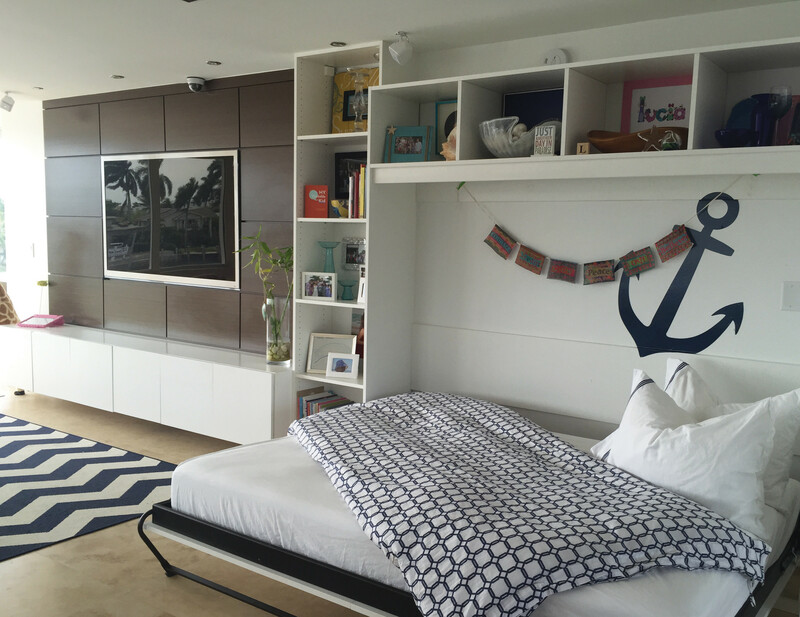 Have you ever thought about incorporating storage into your kids’ play area? 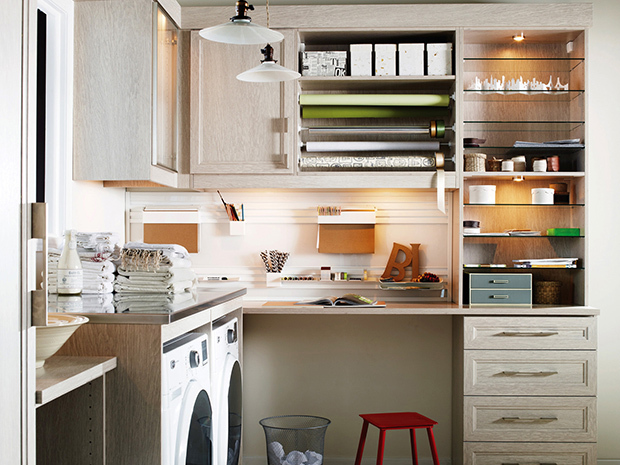 Have you ever thought about redesigning your laundry room so that it has plenty of storage potential? In addition to having drawers, cabinets and shelving to organize your laundry and cleaning supplies, the utility room is a great place to store materials and conduct projects. Upper storage and shelving for paper, scissors, tape and more will give you a dedicated space to work (with the addition of open counter space). If you’re ready to improve your home’s flow and function, give the California Closets Ft. Myers-Naples team a call. You’ll receive a complimentary expert design consultation right in your home, to go over your unique space, budget and style. Or, visit our Naples showroom to get a taste of how we can help you.